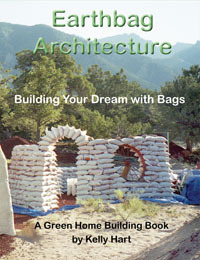 "We fired fence posts and bricks from a blackpowder cannon into an EarthCo Megablock wall made from local earth and water. These walls were produced from highly shrinking-swelling clay subsoil which produces a very low quality wall, however our goal was to show that even a low quality EarthCo Megablock wall has the structural integrity to survive most small debris impacts as would be generated from an F5 tornado." "At Earthco we dream of the day when Zero Energy Buildings are the norm for our planet."